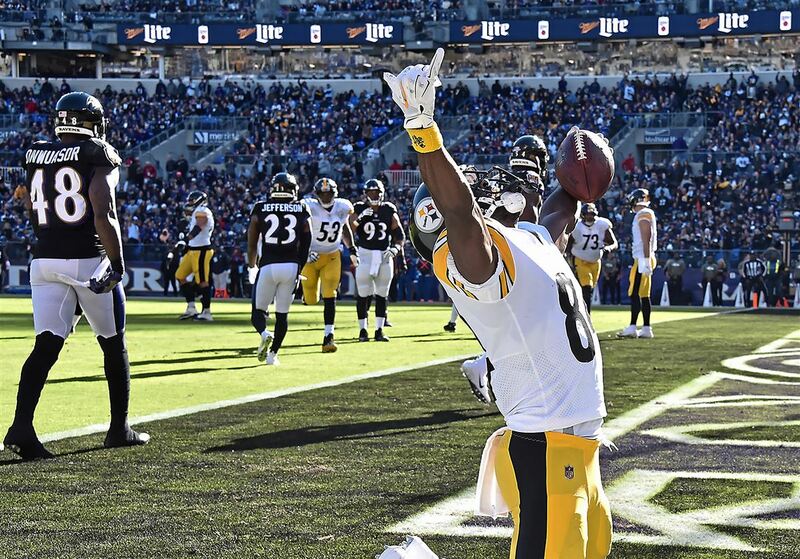 Steelers 23, Ravens 16 : Flocking South – The Ravens lose their 3rd game in a row as they fall behind early & never can quite catch up against the Steelers @ home. Justin Tucker kicks a 23 yard FG that caps off a 10 play 66 yard drive to give the Ravens the lead early. Ben Roethlisberger finds RB James Conner for a 7 yard TD to give the Steelers the lead after 1 & they would never look back. Roethlisberger finds WR Antonio Brown on a 6 yard TD pass in the 2nd & after the Ravens drive stalls, Tucker kicks another 23 yard FG before the half. Roethlisberger runs it in from 1 yard out in the 3rd to make it 20-6, but K Chris Boswell misses the extra point. RB Alex Collins runs it in from 1 yard out in the 3rd to cut it to 20-13 after 3. Boswell kicks a 29 yard FG in the 4th & Tucker kicks a 37 yarder to cut the lead back to 7 but the Ravens cannot get any closer. Baltimore is struggling & needs to make major changes moving forward.